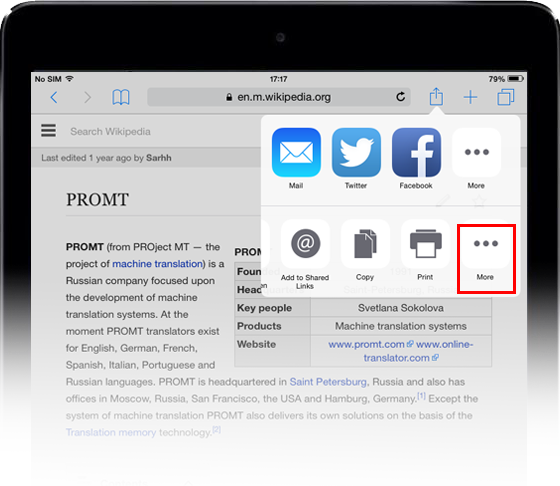 Use an extension of the Action type for quick translation of text fragment or link in any application with the standard Share button in iOS 8.x or higher. After installing the Online-Translator.com application you need to enable its extension. 1. Click the Share button in any application (for example, in Safari browser). 2. In the Actions list select More. 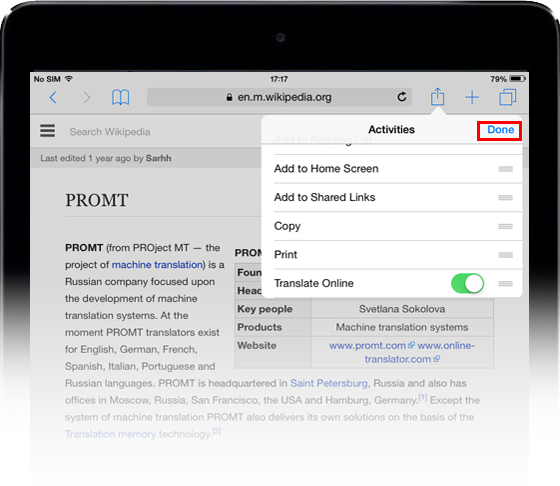 Now simply click the standard Share button in any application and select Translate Online in the Actions list. 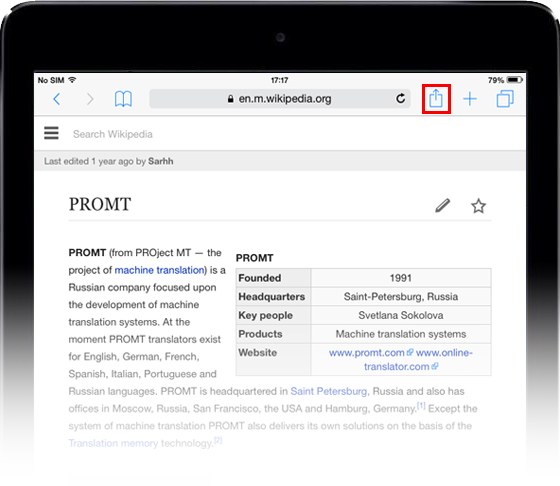 Note: To change the language pair or the topic, use the Online-Translator.com main application.